Meet the Super Villains Assembled for "Suicide Squad"
Meet the world's most dangerous, incarcerated Super Villains assembled by the U.S. government on a mission to defeat an enigmatic, insuperable entity, in director David Ayer's “Suicide Squad” (in Philippine cinemas August 04). DEADSHOT (Will Smith) —aka Floyd Lawton—is a career mafia hit man and possibly the best marksman in the world. A stone cold pro who works alone, trusting no one, his one soft spot is his young daughter, Zoe, whom the government uses as means to exploit the precision gunman into joining its mission. HARLEY QUINN (Margot Robbie) —aka Dr. Harleen Quinzel—is a beautiful young psychiatrist who treats the criminally insane patients at Arkham Asylum, including The Joker…until he turns the tables on her. As crazy as she is desirable, Harley views life as one big, chaotic joke. 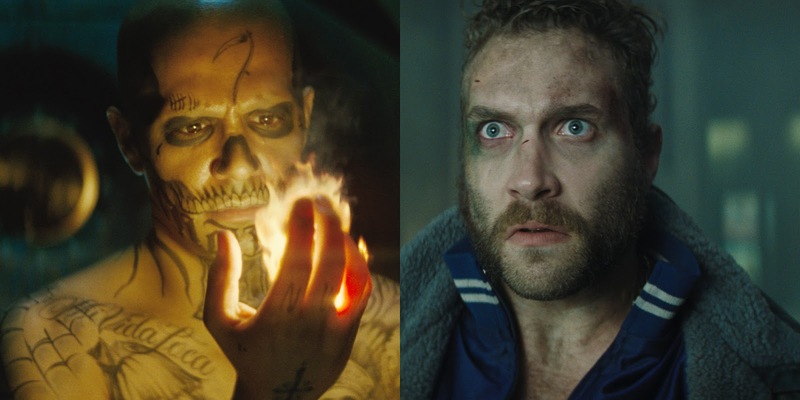 CAPTAIN BOOMERANG (Jai Courtney). An Australian roughneck, Captain Boomerang is devious, scheming and ruthless … and that’s his good side. Utilizing an assortment of his trademark weapon—razor-sharp, incendiary and electrically charged boomerangs—his wise-cracking attitude and short fuse often irritate the other Squad members and escalate the already dangerous situation. DIABLO (Jay Hernandez). His face bearing a tattooed skull, this one-time gang member can create and manipulate fire to do his bidding. But Diablo is haunted by the misdeeds of his past, and if he allows his temper to flare, there’s no telling how much destruction he might cause. KILLER CROC (Adewale Akinnuoye-Agbaje). A huge man for whom evolution is working backward, Killer Croc’s square jaw, cracked and scaly skin and toothy grin evoke the most fearsome of reptiles, but it’s his skill at surviving and maneuvering in dark, dank, filthy sewers that makes him a deadly foe when he’s in his element. DR. JUNE MOONE / ENCHANTRESS (Cara Delevingne). Possessed by Enchantress—a diaphanous, ethereal, wickedly beautiful witch as old as time—June Moone struggles to hold on to her humanity while being overpowered by the seductress. 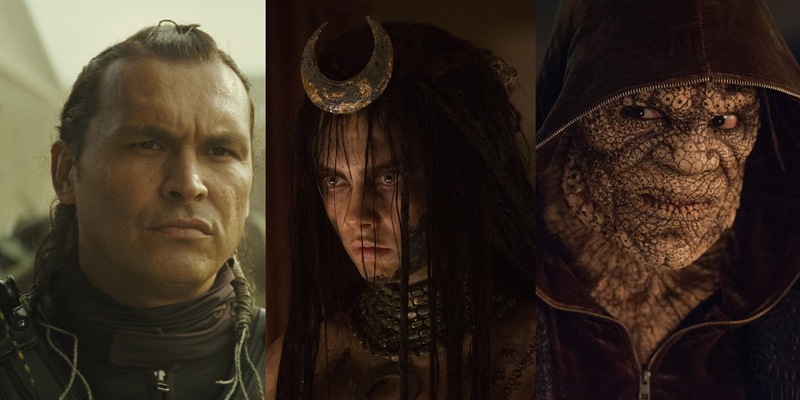 SLIPKNOT (Adam Beach) – aka Christopher Weiss – is a master in the use of elaborate ropes and tackle, including unbreakable ones. This trained assassin can climb anything. 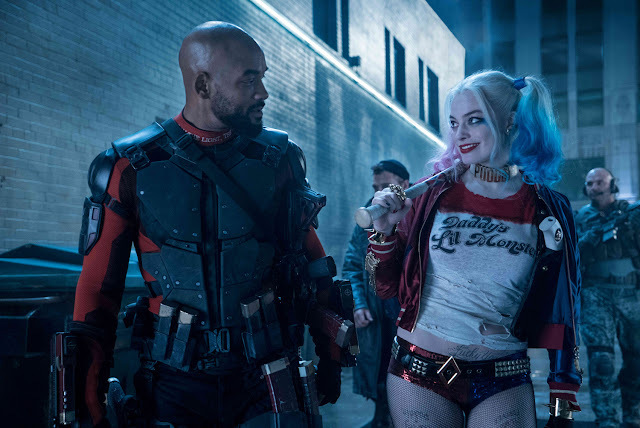 “Suicide Squad” follows the events of “Batman v Superman: Dawn of Justice,” and takes place in a post-Superman world where the government tries to determine how to respond in the event that an alien with more villainous intentions visits Earth. Ruthless intelligence officer Amanda Waller (Viola Davis) offers to recruit society’s worst criminals, those possessing lethal skills and superhuman powers. Her first target: the possessed archaeologist June Moone/Enchantress (Cara Delevingne). When Midway City is threatened by a powerful mystical enemy, Waller’s plan gets the go-ahead. She cuts deals with the whole squad of prisoners: Deadshot (Will Smith) gets his Second Amendment rights reinstated, Harley (Margot Robbie) is set free from her cage, Diablo (Jay Hernandez) steps out of his fireproof prison, Boomerang (Jai Courtney) and Slipknot (Adam Beach) each get to wield their signature weapons once more, and Killer Croc (Adewale Akinnuoye Agbaje) emerges from the swamp. The only condition is this: Obey orders or die. This is strictly enforced by squad leader Rick Flag (Joel Kinnaman), the samurai Katana (Karen Fukuhara), and of course the explosive devices – developed by Wayne Enterprises – inserted into their necks. However, the arrival of the tattooed-up Gotham City mega-criminal, the Joker (Jared Leto), might doom the mission thanks to his plan to reunite with his true love, Harley.